Discount Liquor Store Reviewed by: John Smith This place has horrible customer service! The people treat customers like crap. Stay away from here! North Stemmons Shell Truck Stop Reviewed by: John Gruber I stop at this SHELL TRUCK STOP, all the time. Its clean, great customer service. They have cheap gas, Diesel and groceries and open 24/7. Its on I35 and Mockingbird service lane. Dallas /ˈdæləs/ is a major city in Texas and is the largest urban center of the fourth most populous metropolitan area in the United States. The city proper ranks ninth in the U.S. and third in Texasafter Houston and San Antonio. The city's prominence arose from its historical importance as a center for the oil and cotton industries, and its position along numerous railroad lines. The bulk of the city is in Dallas County, of which it is the county seat; however, sections of the city are located in Collin, Denton,Kaufman, and Rockwall counties. According to the 2010 United States Census, the city had a population of 1,197,816. TheUnited States Census Bureau's estimate for the city's population increased to 1,257,676, as of 2013. The city is the largest economic center of the 12-county Dallas–Fort Worth–Arlington metropolitan area, which had a population of 6,810,913 as of July 1, 2013. 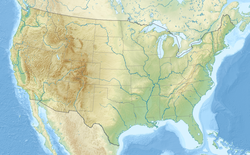 The metropolitan economy is the sixth largest in the United States, with a 2012 real GDP of $420.34 billion. In 2013, the metropolitan area led the nation with the largest year-over-year increase in employment, and advanced to become the fourth-largest employment center in the nation (behind New York City, Los Angeles and Chicago) with more than three million non-farm jobs. The city's economy is primarily based on banking, commerce, telecommunications, computer technology, energy, healthcare and medical research, and transportation and logistics. The city is home to the third-largest concentration of Fortune 500 companies in the nation. In the latest rankings released in 2013, Dallas was rated as a "beta plus"world city by the Globalization and World Cities Study Group & Network, and was 14th in world rankings of GDP by the Organisation for Economic Co-operation and Development. Located in North Texas, Dallas is the main core of the largest inland metropolitan area in the United States that lacks any navigable link to the sea. Dallas and nearby Fort Worth were developed due to the construction of major railroad lines through the area allowing access to cotton, cattle, and later oil in North and East Texas. The construction of the Interstate Highway System reinforced Dallas' prominence as a transportation hub with four major interstate highways converging in the city, and a fifth interstate loop around it. 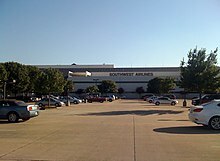 Dallas developed as a strong industrial and financial center, and a major inland port, due to the convergence of major railroad lines, interstate highways, and the construction of Dallas/Fort Worth International Airport, one of the largest and busiest airports in the world. Three hybrid Washingtonia palms growing in the downtown Dallas area. Snow on the campus of Southern Methodist University in nearby University Park. Dallas is known for its barbecue, authentic Mexican, and Tex-Mex cuisine. Famous products of the Dallas culinary scene include the frozen margarita. Fearing's restaurant at the Ritz-Carlton Dallas hotel in Uptown Dallas was named the best hotel restaurant in the US for 2009 by Zagat Survey. The Ritz-Carlton Dallas hotel was also named 2009 best US hotel by Zagat, and 2009 No. 2 hotel in the world by Zagat, trailing only the Four Seasons King George V in Paris, France. A number of nationally ranked steakhouses can be found in the Dallas area, including Bob's Steak & Chop House, currently ranked No. 1 according to the USDA Prime Steakhouses chart. The city of Dallas maintains and operates 406 parks on 21,000 acres (85 km2) of parkland. Its flagship park is the 260-acre (1.05 km2) Fair Park, which hosted the Texas Centennial Exposition in 1936. The city is also home to Texas' first and largest zoo, the 95 acres (0.38 km2) Dallas Zoo, which opened at its current location in 1888. As part of the ongoing Trinity River Project, the Great Trinity Forest, at 6,000 acres (24 km2), is the largest urban hardwood forest in the United States and is part of the largest urban park in the United States. The Trinity River Audubon Center is a new addition to the park. Opened in 2008, it serves as a gateway to many trails and other nature viewing activities in the area. The Trinity River Audubon Center is the first LEED-certified building constructed by the City of Dallas Parks and Recreation Department. Dallas also hosts three of the twenty-one preserves of the extensive (3,200 acres (13 km2)) Dallas County Preserve System. Both the Joppa Preserve, the McCommas Bluff Preserve the Cedar Ridge Preserve are all within the Dallas city limits. The Cedar Ridge Preserve was formerly known as the Dallas Nature Center, but management was turned over to Audubon Dallas group, which now manages the 633-acre (2.56 km2) natural habitat park on behalf of the city of Dallas and Dallas County. The preserve sits at an elevation of 755 feet (230 m) above sea level, and contains a variety of outdoor activities, including 10 miles (16 km) of hiking trails and picnic areas. The city is served by the Dallas Public Library system. The system was originally created by the Dallas Federation of Women's Clubs with efforts spearheaded by then-president Mrs. Henry (May Dickson) Exall. Her work in raising money led to a grant from philanthropist and steel baron Andrew Carnegie, which enabled the construction of the first branch of the library system in 1901. Today, the library operates 27 branch locations throughout the city, including the 8-story J. Erik Jonsson Central Library in the Government District of Downtown. The American Museum of the Miniature Arts is located at the Hall of State at Fair Park. In the near future, the Los Angeles-class submarine USS Dallas (SSN-700) will become a museum ship located near the Trinity River after her decommissioning in September 2014. She will be taken apart into massive sections in Houston and be transported by trucks to the museum site and will be put back together. The Dallas metropolitan area is home to five major league sports teams: the Dallas Cowboys (National Football League), Dallas Mavericks (National Basketball Association), Texas Rangers (Major League Baseball), Dallas Stars (National Hockey League), and FC Dallas (Major League Soccer). The Dallas Cowboys of the National Football League play in nearby Arlington, Texas. Since joining the league as an expansion team in 1960, the Cowboys have enjoyed substantial success, advancing to eight Super Bowls and winning five; according to profootballreference.com, as of the end of the 2009 season they were the winningest active NFL franchise. Known widely as "America's Team", the Dallas Cowboys are financially the most valuable sports 'franchise' in the United States, worth approximately 1.5 billion dollars. They are also the second most valuable sports organization in the world. The Cowboys are only out-valued byManchester United, who are valued at 1.8 billion dollars. In 2009, the Cowboys relocated to their new 80,000-seat stadium in Arlington, which was the site ofSuper Bowl XLV. The Texas Rangers of Major League Baseball play at Globe Life Park in Arlington. The Rangers won the American League in 2010 and 2011. The Dallas Mavericks play at the American Airlines Center. They won their first championship in 2011 led by Dirk Nowitzki. FC Dallas of Major League Soccer play in Frisco at Toyota Stadium (formerly FC Dallas Stadium and Pizza Hut Park), a stadium that opened in 2005. The team was originally called the Dallas Burn and used to play in the Cotton Bowl. Although FC Dallas has not yet won a MLS Cup, they won the Lamar Hunt U.S. Open Cup in 1997. The Dallas Stars are members of the Central Division of the Western Conference of the National Hockey League (NHL). The Stars have won seven division titles in Dallas, two President's Trophies as the top regular season team in the NHL, the Western Conference championship twice, and in 1998–99, the Stanley Cup. The team plays at the American Airlines Center. The Dallas Stars play at the American Airlines Center. The Dallas Sidekicks (2012) are an American professional indoor soccer team based in Allen, Texas, a suburb of Dallas. They play their home games in the Allen Event Center. The team is named after the original Dallas Sidekicks that operated from 1984 to 2004. Rugby union is a developing sport in Dallas as well as the whole of Texas. The multiple clubs, ranging from men's and women's clubs to collegiate and high school, are part of the Texas Rugby Football Union. Currently Dallas is one of only 16 cities in the United States included in the Rugby Super League represented by Dallas Harlequins. The only Division I sports program within the Dallas political boundary is the Dallas Baptist University Patriots however, within the city limits, the Mustangs of Southern Methodist University are located in the enclave of University Park. Neighboring cities Fort Worth, Arlington, and Denton are home to the Texas Christian University Horned Frogs, University of Texas at Arlington Mavericks, and University of North Texas Mean Green respectively. In 2014 Dallas hosted the final four games. The college Cotton Bowl Classic football game was played at the Cotton Bowl through its 2009 game, but has moved to AT&T Stadium.